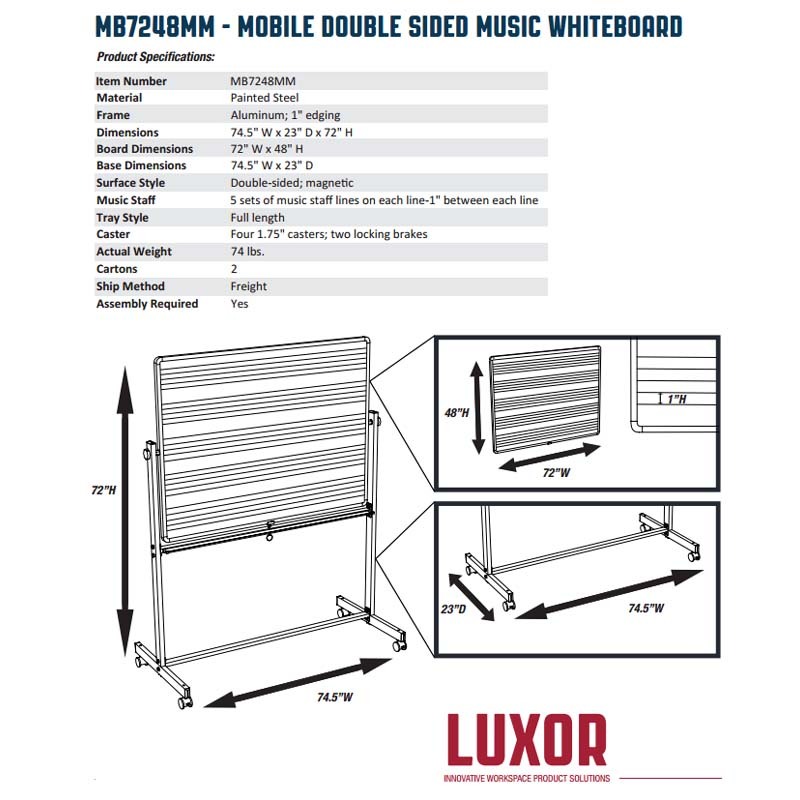 More on the Luxor Mobile Double Sided Music Whiteboard (Silver and White) MB7248MM below. 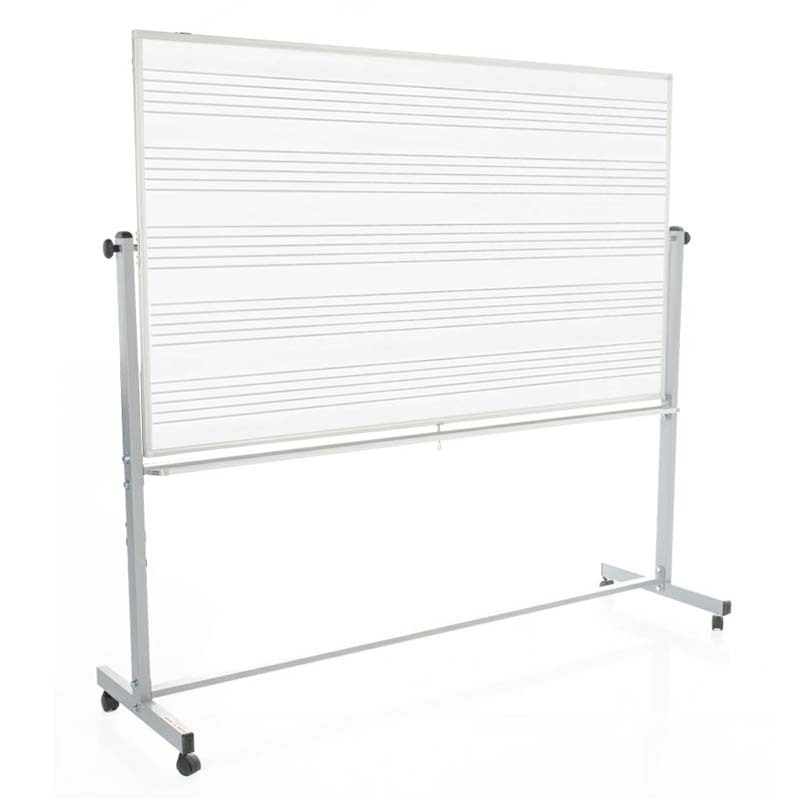 Optimize your musical notation within the classroom with our 72 x 48 inch Mobile Double Sided Music Whiteboard. 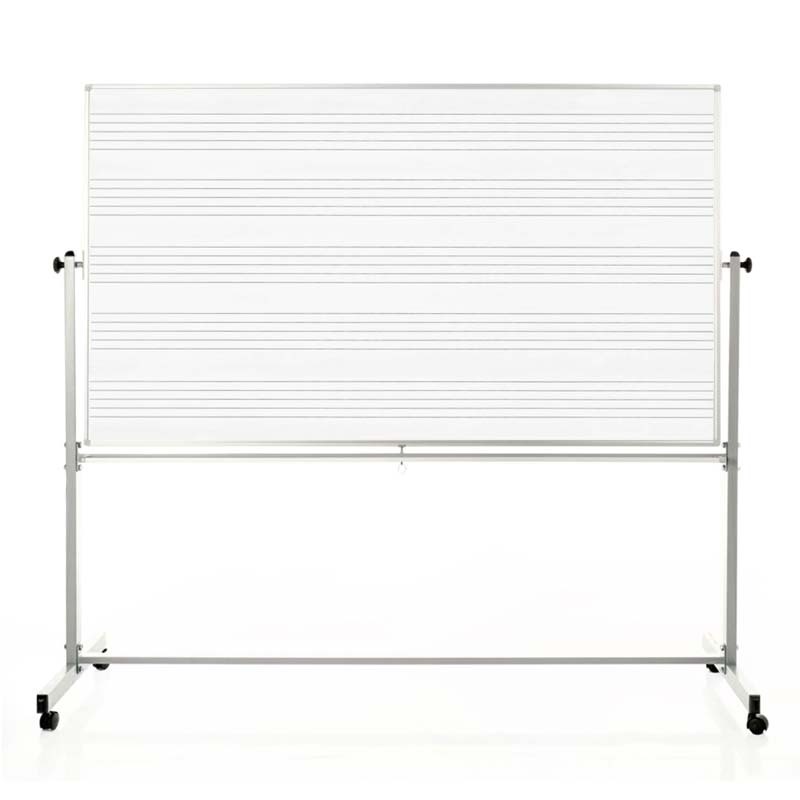 Students and teachers can easily flip the rolling whiteboard to maximize the use of the ten total staff sets. After each turn of the board, simply lock the musical transcription into place with the board clip and then tighten the knobs. 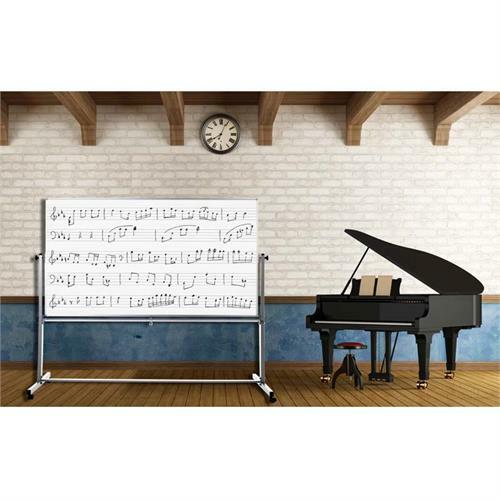 The convenience of the magnetic dual sides, adjacent marker tray, and portable nature makes this dry-erase board a necessity in every music room!